Any earning or income statements, or earning or income illustrations are only estimates of what we believe you can earn based with our own experience with the techniques outlined or recommended on this site. There is no guarantee or assurance that you will achieve the same results. You must accept the risk that you may not do as well. Success and income results are based on many variables. As we do not know your experience, skills and work practices there is way of knowing how well you will do. 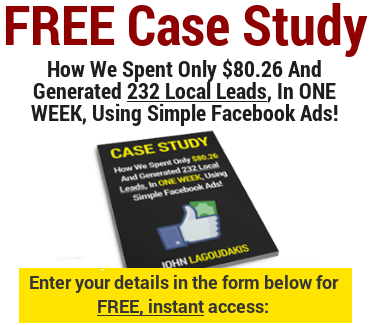 Because of this we do not guarantee that you will earn money with the strategies taught on JohnLagoudakis.com. Affiliate marketing, and any online business, is not suitable for every person. Making decisions based on any information presented on JohnLagoudakis.com should only be done with the knowledge that you could experience significant losses, or make no income at all. While all information presented on this site is verified by professionals, it is highly recommended that you do your own due diligence when it comes to making business decisions. All disclosures and disclaimers made herein or on our site, apply equally to any offers or incentives, that may be made by JohnLagoudakis.com. You agree that JohnLagoudakis.com is not responsible for the success or failure of your business decisions relating to any information presented by JohnLagoudakis.com or our affiliate partners.